Ed & Ed Business Technology has been helping and providing Central New York and the Capital Region’s best companies with great solutions since 1977. Ed Potrzeba Sr. and his wife Virginia started the company out of their basement with only himself and a single service technician. At this time, Ed Sr. was marketing under the Friden mailing equipment agency name. Ed Jr. was merely 5 years old. The 10’ x 10’ office contained a single service bench and served about 30 customers. Two years later, Ed Sr. rented a single office in a small shopping center only to add another office a year later. 1980 was a big year for growth as office space was rented in Binghamton and Syracuse, New York as well as an office in Pittston, Pennsylvania. With new offices came new sales and service personnel. In 1981, Ed Sr. purchased a building in New York Mills - New York. For 7 years, Ed Sr. continued to expand the company with employees and customers. In 1988, Ed Sr. purchased 12 acres in Westmoreland and built a 10,000 square foot facility. Ed Jr. was determined to continue to growing the business. Starting in 1991 Ed Jr. believed that the best way to grow was to surround yourself with the best people you can possibly find and embrace technology to make your operations more efficient. Well, Ed Jr. did just that! Today our company employs the best of the best and our technology platform on which we serve our customers is better than most of our Fortune 500 competitors. 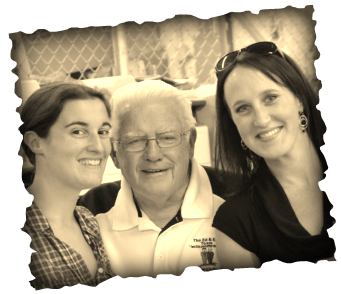 Ed Jr. believes in making every customer feel top of the list, most important, and a part of the Ed & Ed family! The Ed and Ed team has grown to over 35 employees and now has 7,000 customers in New York. From beginnings in Central New York, Ed & Ed BT now serves the majority of the state. In 2006, Ed and Ed purchased Progressive Business Systems which served as a Hasler mail equipment dealer for Central New York. In 2008, Ed & Ed purchased another Hasler mail equipment dealer for the Capital Region, Alternative Business Systems. In 2013 we needed a makeover and more square footage. Ed Jr. and Joe Madden quickly assembled some of the best local contractors in our area to "reno" our existing 10,000 square foot building and to add an additional 5,000 square foot of warehouse space. Our new Ed & Ed World Headquarters is state-of-the-art, open, airy, and filled with employee comforts! We are very thankful for the many years of hard work, dedication and sacrifice that our founders Ed Sr. & Virg have given to Ed & Ed. They created the groundwork that formed this wonderful group of people! Thanks Ed & Virg!